When looking for a way to inject an amazing rustic feel to your kitchen, brick slips for kitchen splashbacks are a smart choice. They are a modern industrial trend that will create a wow effect in your cooking space. With brick slips, you can create the best feature wall in your kitchen. 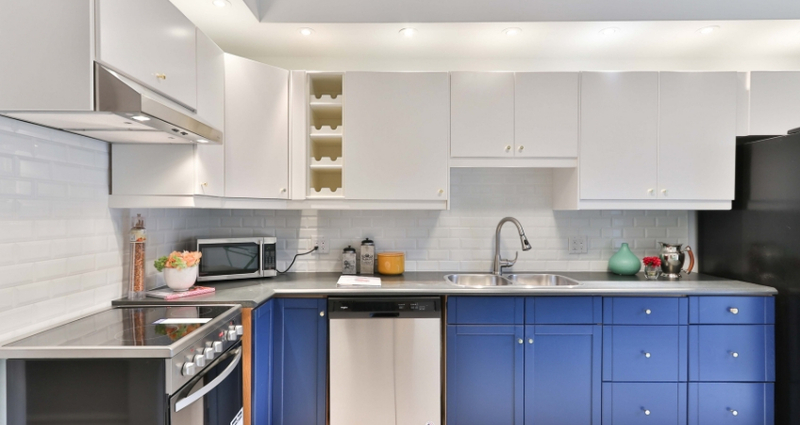 Often, enhancing the aesthetic appeal of your kitchen is assumed as a costly and time-consuming affair. However, with the beauty of modern brick slip splashbacks, getting the job done is quite simple. 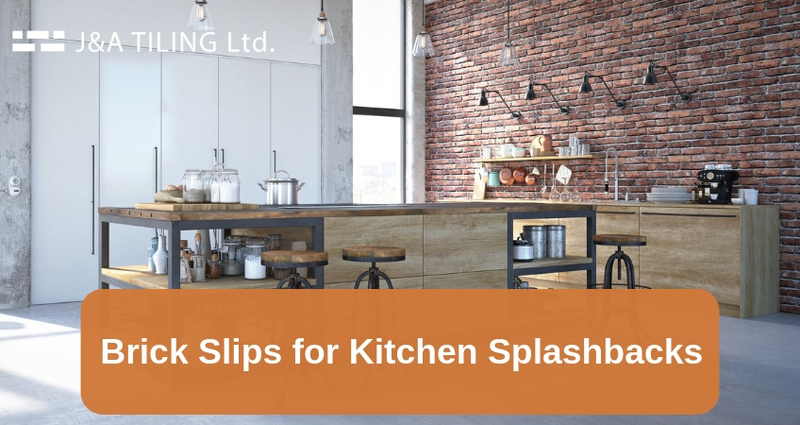 Why are Brick Slips for Kitchen Splashbacks a Smart Choice? They create the desired effect and inject a true rustic character to your kitchen. They can be used in any part of the kitchen: Whether you want to create a feature wall in a spacious kitchen or you want to have a splashback around the sink or behind the cooker, you can always use brick slips to achieve the desired effect. Brick slips also create a beautiful effect of an old brick wall in the kitchen. This further enhances a rustic feel in the room and you can always choose a design, colour, and size of brick slips that will show off your personality. Brick slips are also exceptional splashback kitchen ideas you can explore to set your kitchen apart from that of your friends. Make a statement with your brick slips kitchen by turning your kitchen in the focal point of your home. Apart from the beauty that brick wall splashbacks inject to your kitchen, they also protect your kitchen walls from splashes and tumbles as you cook. You will find a wide array of brick slips in the market that will truly add a new lease of life to your kitchen walls. Brick slips kitchen splashback blend well with different kitchen units. This is attributed to the fact that brick slips come in a wide array of beautiful colours, designs, and styles. Therefore, you can create the feel and country style look that you want in your kitchen based on the units you have in your home. In many modern kitchens, brick slips have been used to create a more inviting atmosphere in the kitchen by blending it with quality high-end finish kitchen units. They are also highly functional and they help you to create a perfect residential kitchen treat in your home. What’s more, when you settle for brick slips, you reduce the maintenance costs associated with having an exposed brick wall in the kitchen. With brick slips, you can introduce the best brick slip tile splashback effect in your kitchen. Generally, brick slips are known to be the best brick effect panels to use in a traditional and modern kitchen. They help you to expose your walls without the stress of dealing with an exposed wall on daily basis. Therefore, brick slips have been designed to provide a style, fashion, and design effect that is similar to that created by conventional tiles. For this reason, they come in amazing styles, they are replaceable, easy to use and are highly versatile. The brick slips are perfect additions in your kitchen because they help you to create a rustic and realistic look in your kitchen. Remember, brick slips for splashbacks are well textured. This gives you an added advantage to achieve a unique brick wallpaper and tile effect in your cooking space. With brick skips for kitchen splashbacks in your kitchen, you enjoy the beauty of an exposed brick wall without having to incur the costly installation and maintenance of an exposed brick wall. Brick slips kitchen also come with a unique and decorative look based on the colours and textures you choose. This means that you can achieve a timeless style in your kitchen while making your kitchen walls better every day. To create an amazing look in your kitchen, it is imperative to choose the best brick slip style. With a variety of colours and textures to choose from, you can decide to go for tumbled brick slips that create a warm feeling in your home or more rusty bricks that create an aged character for a more traditional effect. Furthermore, you can go for smooth brick slips for your kitchen splashback. This also allows you to create a warm modern look in the pantry. When it comes to colour, you choose from warm and cool colours but ensure they complete the overall look in your home. A point to note is that your brick slips can either contrast or complement the finishing touch in your kitchen space. With the beauty of brick splashback, it is important that you know how to use brick slips in the kitchen. The key to creating a successful brick effect splashback is to balance. Ensure that you settle for brick slips with a great texture. In case, the brick slips texture is heavy, it is wise to paint it to strike a good balance whether you want a modern or an aged effect in the room. Monsoon, old heritage, silver grey. Rustic red and reclaimed red face. London weathered yellow, London reclaimed stock. Beige and regency blend among other brick slips ideas. The beauty of brick slips is that they are made of a highly versatile material. Therefore, choosing the best style and colour for your kitchen will not be a problem. Kitchen brick slip splashback area major standout feature in the room. Therefore, you need to make it exceptional to bear up everyday use. Therefore, take time to budget for quality and the best brick slips because a kitchen makeover needs a good financial plan. Choose brick slips style and design that will align with the existing design of your home. Let the colours, design and texture complement one another whether you want a modern or an aged look in your space. Always choose the right brick tile splashback material to create a visually appealing effect. Ensure the bricks you choose are highly durable, resistant to wear and tear and have a good design for consistency during installation. Choose brick slips that you can easily clean because the kitchen is a busy place. With lots of splatters and spills, you need a splashback that you can clean with ease. 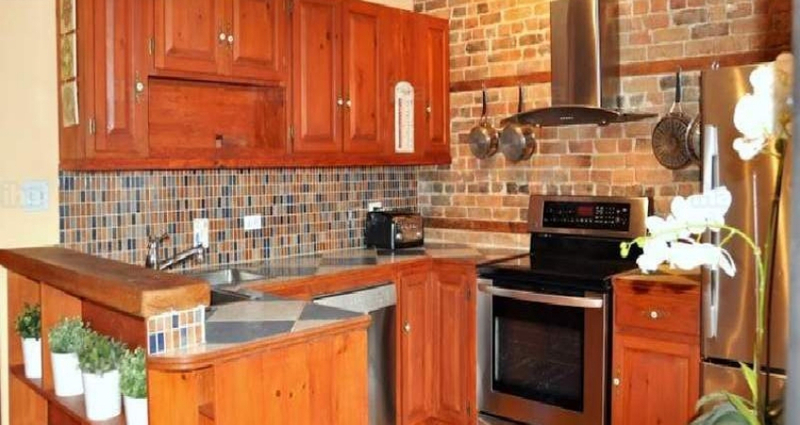 If the kitchen is smaller, explore brick slips ideas that will make your kitchen feel bigger. You can also use a window brick slip splashback in the kitchen if your kitchen doesn’t have enough light. This is an excellent option and a great opportunity to make your kitchen beautiful, bright and with sufficient natural light. There are many window splashback ideas to explore based on the design of your kitchen. Use a kitchen brick slip splashback to make a bold statement. There are many bold splashback ideas to explore based on the natural and neutral surrounding of your kitchen. Installing brick splashback in the kitchen needs good planning. You want a project that will add instant value to your home. Therefore, set aside a good budget that will allow you to purchase high-quality materials and hire the best contractor to get the job done. The size of the splashback. The kind of effect you want in your home. The size of brick slips because they come in different sizes. The positioning of the brick slips. Therefore, as you budget for brick cladding installation, ensure that you get the best materials for an authentic, beautiful and flawless brick splashback effect. A good contractor will be able to provide a reasonable quote based on your unique needs. You can always compare installation charges from different contractors and settle for the most affordable. Most importantly, choose a qualified company for your installation. A qualified and experienced installation company has the right team, tools and understands how brick slips kitchen spacers should be used. This guarantees you the best end result as you improve your kitchen. What’s more, an expert will always assess your kitchen and recommend the best approach for a successful splashback installation. Brick slips kitchen cladding comes with many advantages. However, you need to define your needs and have a clear understanding of the kind of effect you want in your kitchen. You can also achieve stunning brick slips effect by choosing J&A Tiling Ltd, a trusted bricks slip fitting expert in Essex and London.